Download and print the pastor appreciation card below, then write a note of thanks to your pastor. Instructions: print on cardstock, then cut and fold in half. 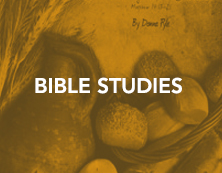 An example of the bookmark used as a Bible margin. Select sets available in Spanish. Roll folded towel up into tight roll. Tuck Hot Chocolate packet into the end of the roll so that it isn’t visible. 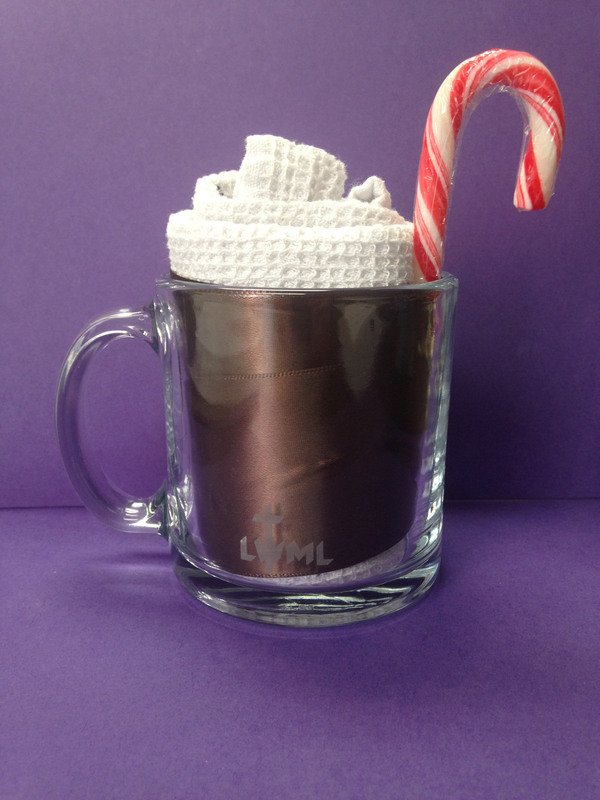 Carefully insert wrapped towel into mug, so that ribbon does not reveal any towel along bottom edge. Pull up on center of wrapped up towel to make the towel look like whipped cream. 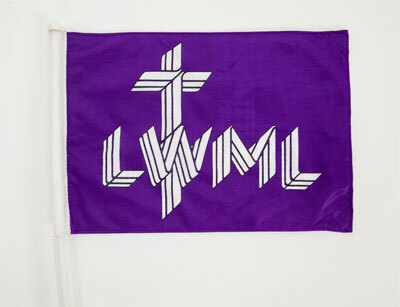 Make an LWML pillow out of the LWML Car Flag. 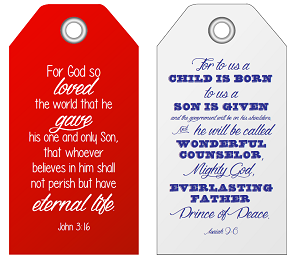 Download, print, and cut out these Scripture Gift Tags. 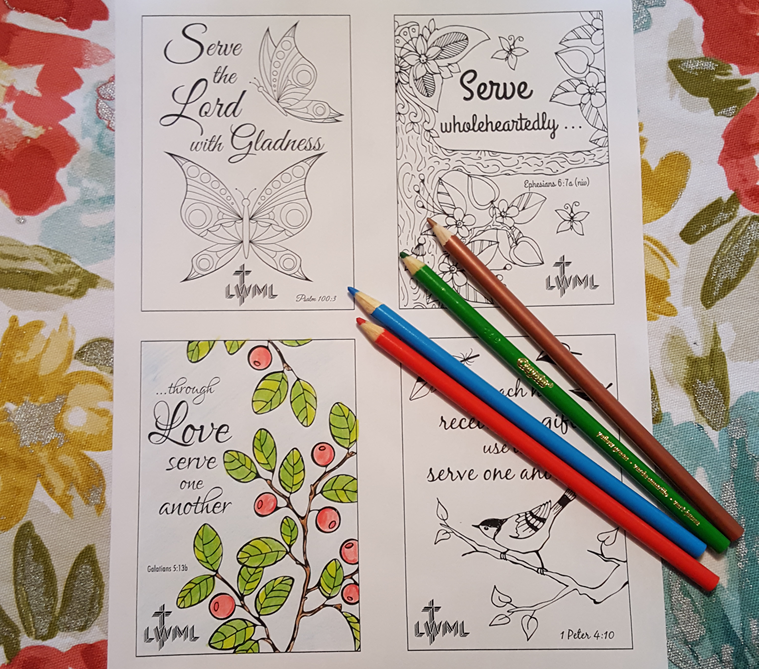 Use them on your gifts to share God's love. Attach them to a gift of baked goods, too! 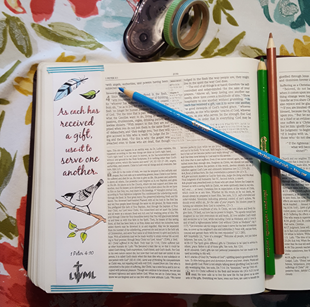 “Mug Rugs” were used at the Cup with Kay — It’s about Prayer exhibit at the Pittsburgh Convention, June 27–30, 2013. These were laminated and taped to the floor of the exhibit. Participants stepped from one rug to another and offered a quick prayer for the subject provided on the “Mug Rug.” Each person could continue to pray for as long as they wished. Now you can download these “Mug Rugs” for your own event or consider shrinking and printing them small enough to make coasters! The pdf contains 15 separate rugs offered in color only. Choose from two sizes. Share the message of Christ this Advent with a scripture paper chain! Print each page of this four page pdf on a different, brightly colored sheet of 8½ x 11" paper. Cut along the lines, sort into numerical order, and tape or glue the chain together. Each day, tear off the number corresponding to the appropriate day in December and read it as part of your Advent devotion. 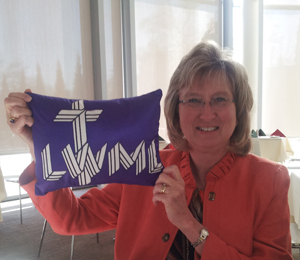 Share the message of Christ and the mission of the LWML with beautiful ornaments you make yourself! These downloadable ornaments can be printed on letter size (8½ x 11”) heavy paper or card stock. Print in color, on white paper and decorate it yourself, or print in black ink on any color paper. Also, scrapbook paper choices are many! All you need to do is cut, fold, fill and tape. Ribbon or string can be attached for hanging. Fill them with candy, a tea bag, potpourri, a small toy, or a Mite donation. Hang them on the tree, tie on gifts, or display from your chandelier. 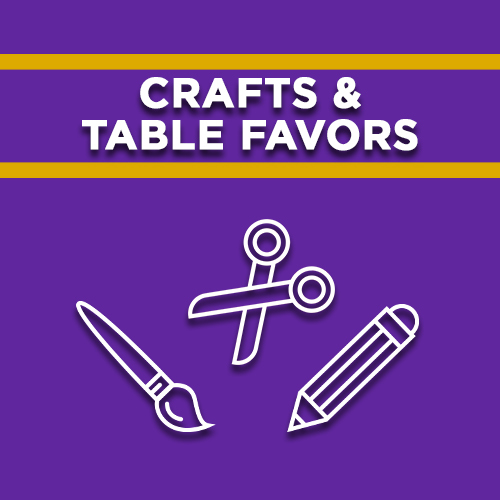 Use them as place cards or favors for guests. 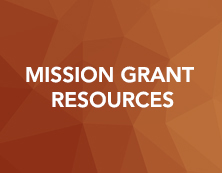 Insert the name of a mission grant on a slip of paper, requesting daily prayer for that grant. and let each guest take one for dessert. 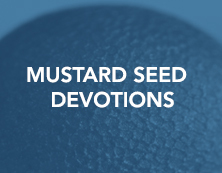 Put an ornament in each Christmas stocking and fill them with special prayers. Give them, filled with their annual bonus, to your mail carrier, hairdresser, babysitter, etc. Leave them for your server along with your tip, filled with candy. 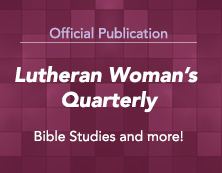 Share your ideas on the LWML Facebook or Pinterest page. 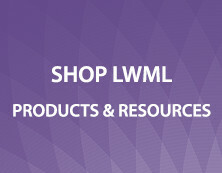 Mite Label WrapPDF — These free colorful downloadable labels can be attached to a small Pringles™ potato chip or similar container and used in the cup holder of your vehicle and other places as one more way to collect mites for missions.